When we set out to create HostStreamSell we did so with the goal of making it easy to provide secure access to video content for our customers through our platform and WordPress plugins which hide the complexities. One of the complexities when we set out was that to deliver secure streaming videos across browsers and devices flash was a necessary evil as the other HTML5 options were still immature and not widely supported enough. 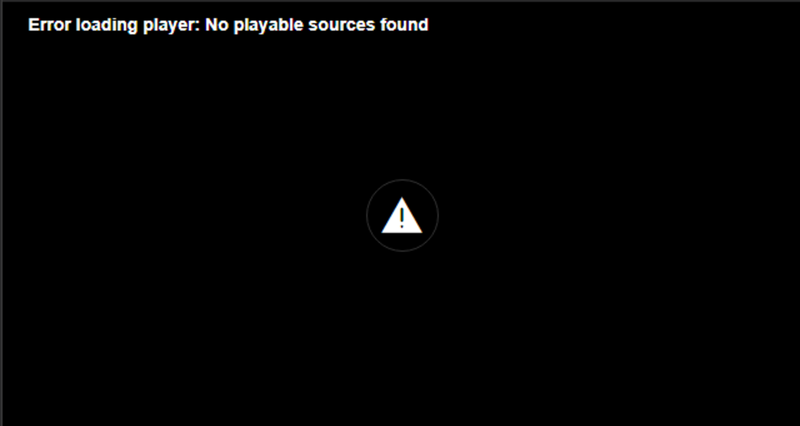 For the past year many browsers such as Chrome and Firefox have been removing support for the flash browser plugin and the result is that when you then try to play a video stream which relies on flash but flash is disabled or blocked by the browser you see an error like below. HTML5 streaming technologies such as HLS and DASH have been becoming more and more mature and widely supported across browsers and device. As such, we are pleased to announce that we have spent the past few months upgrading and testing our platform and plugins to use these newer technologies and to remove the need for flash*. We now support a free open source player called VideoJS as well as the Premium version of JWPlayer 7 (requires their premium license to make use of HLS and DASH features). An added bonus of using these HTML5 players is that the same player can be used on tablets and smartphones providing a more consistent experience across devices. If you are a current customer we recommend upgrading to the latest version of your HSS plugin and changing to one of these players in your plugin settings. The default player for new users will now be VideoJS and at some stage we will likely remove the free JWPlayer 6 and 7 options which rely on flash. We recommend all existing users change to using one of these HTML5 player options to ensure a good experience for your customers. * VideoJS still utilizes flash for older IE browsers because these browsers don't have native support for HLS streaming but do continue to support flash. This enables the very same HLS streaming functionality as more modern browsers.